With the weather finally warm enough to free our legs from our trousers, it's time to get even your toes out with the season's crop of incredible new sandals. To help you decide on the one pair you're going to buy this summer, we've rounded up 2018's key sandal trends. Some old favourites are back for another summer (hi, "dad" sandals and white strappy beauties), but we'll also be seeing new styles like woven beach-ready slip-ons and pastel sliders. Scroll to see and shop the summer's eight best sandal trends. Last year's raffia tote trend has made it into footwear, so prepare to see plenty of woven and raffia sandals on and off the beach. This is another sandal trend that started last summer and is back for another year—the general rule here is the more straps the better. This sandal trend might be a bit niche, but once you spot it, you'll notice it in plenty of new-in sections. Several pairs of sandals even look like the front of the toes have been cut off (but we love a strong square toe). An influencer must, strappy white sandals boosted with a heel have emerged as one of the key trends of the season. Toe-thong sandals might be divisive, but for the second year in a row, lots of minimalistic leather sandals have a strap across the big toe. Just make sure you don't leave your big toenails too chipped. This year, Chanel wants you to swap your "dad" trainers for "dad" sandals when you hit the beach—the chunkier and more practical the better. This is the year of pastels, and the colour trend extends to everything, including our sandals. Many of the coolest sandals come in this buttery yellow shade—it looks most expensive in suede, no? 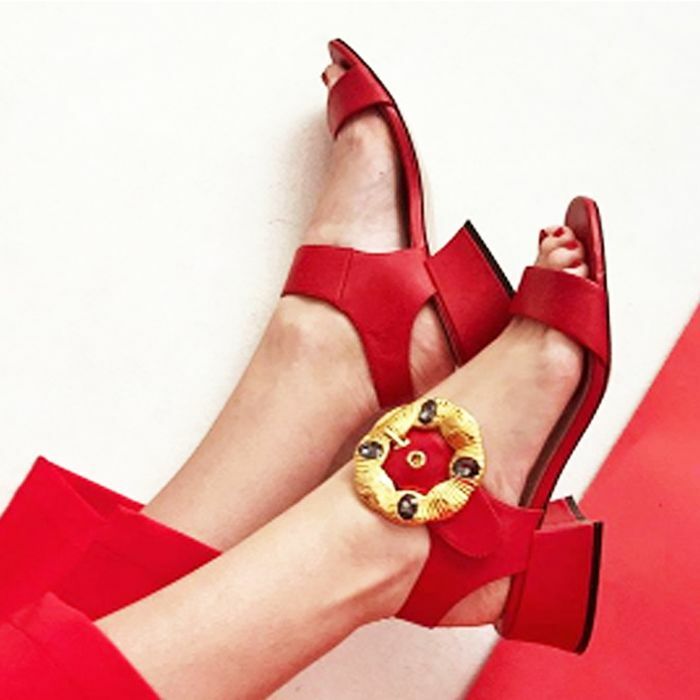 More is more when it comes to your sandals this summer—whether you play with an elaborate clasp or a sculptural out-there heel. Which pair are you thinking of wearing this summer? We know—there are just so many good ones to choose from.